The 2014 Honda Accord Coupe is equal parts professional and a favorite in the Middletown and Mechanicstown area. The midsize Accord offers luxury-focused styling, strong fuel economy, and plenty of available features. Of course, there are other midsize coupes on the market to consider, such as the 2014 Hyundai Genesis. 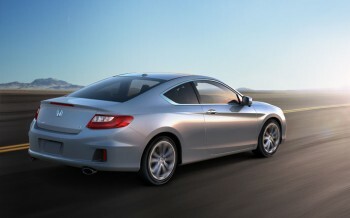 While we’re certainly partial to the Accord, we want to give the Genesis its chance. Here’s a quick look at how these two models compare. The Hyundai Genesis Coupe comes standard with 274hp 2.0L turbocharged I4. With more power typically comes less efficiency, and that’s especially true in this case as 2.0L turbocharged models only get a 17 mpg city and 27 mpg highway. Honda gives you the option of more performance, but Hyundai doesn’t give you the option of better efficiency. It’s tough to convey the Accord Coupe’s smooth driving style in a review, which is why we invite you to stop by Middletown Honda for a test drive. We’re located at 520 Route 211 in Middletown, just a few minutes from the Mechanicstown area. If you have questions, please feel free to call our sales team. Our dealership also carries the 2014 Honda Accord sedan along with the rest of the 2014 Honda lineup. *Based on 2014 EPA mileage estimates. Use for comparison purposes only. Do not compare to models before 2008. Your actual mileage will vary depending on how you drive and maintain your vehicle.